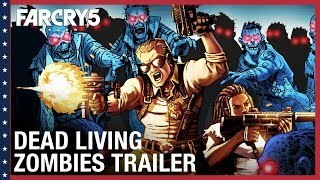 8/28/2018: Live through seven different film pitches from Guy Marvel as you face hordes of the undead. 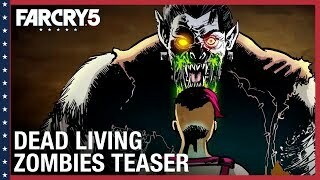 8/17/2018: D-tier film director Guy Marvel pitches his vision for an epic zombie saga. 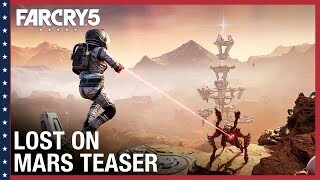 7/17/2018: Nick Rye and Hurk teleport to Mars in an effort to restore power to ANNE, a futuristic AI representing humanity's last line of defense. 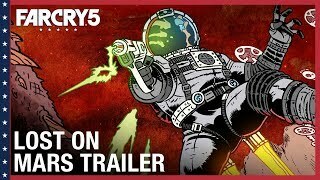 7/10/2018: Nick Rye is teleported to a hostile planet to help his buddy Hurk thwart an alien invasion of Earth. 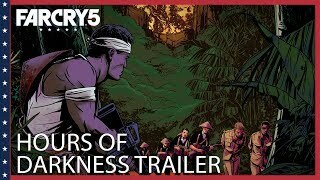 6/5/2018: Leave Montana behind and enter the deadly jungles of Vietnam. 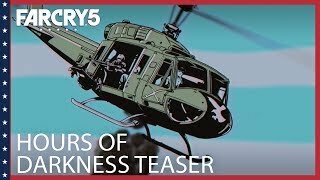 5/24/2018: Hours of Darkness transports players into a war-torn Vietnam to relive the harrowing experience of Wendell Redler. 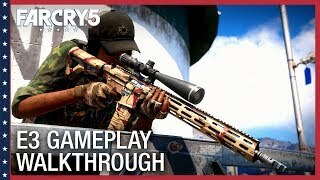 3/27/2018: A look at what's different in the PC version of Far Cry 5. 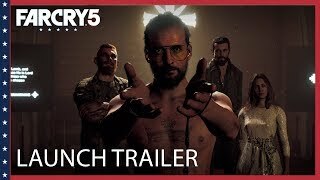 3/26/2018: Spark a resistance to take back Hope County from the fanatic doomsday cult that has taken control. 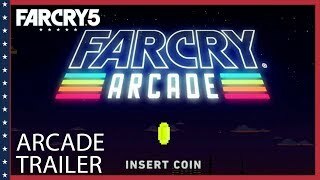 3/9/2018: The Far Cry 5 developers demonstrate the features of the map editor for the Far Cry Arcade. 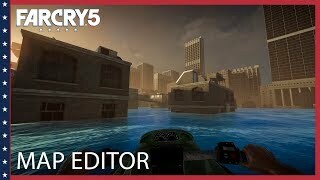 3/6/2018: Build, share, and play an endless variety of custom maps. 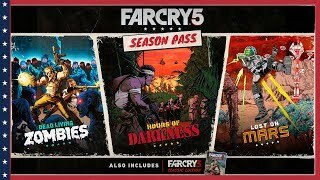 3/6/2018: The Far Cry 5 Season Pass includes Dead Living Zombies, Hours of Darkness, Lost on Mars, and Far Cry 3 Classic Edition. 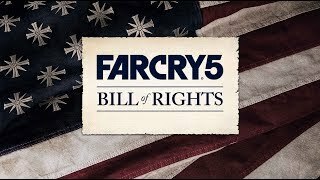 3/2/2018: Now you have the right to Arm Bears, and the right to Flex Your American Muscle. 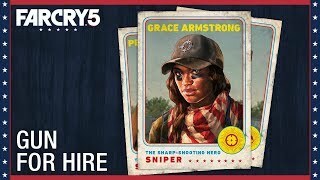 2/8/2018: Help Grace Armstrong, the sharp shooting sniper, protect those who can?t protect themselves. 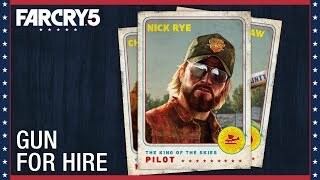 2/8/2018: Nick Rye, the king of the skies, will help you defend Hope County, and save his family?s future. 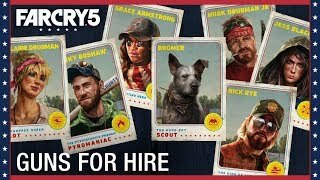 2/8/2018: Build the resistance and team up with Guns & Fangs for hire to take back Hope County. 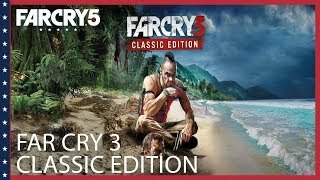 2/2/2018: Far Cry 3 Classic Edition will be available for free in the Far Cry 5 Season Pass. 2/2/2018: The Father and his zealous followers are obsessed with "saving" as many souls as possible - willing or not. 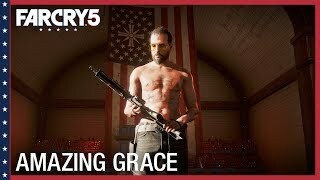 12/15/2017: Fighting the cultists of The Project at Eden's Gate in Hope County's Holland Valley. 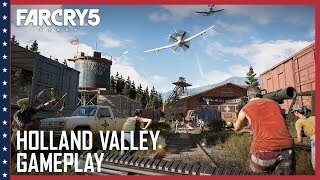 12/15/2017: How the world of Far Cry 5 reacts to your activities as you fight alongside your local allies, the Guns & Fangs for Hire, to take back Hope County. 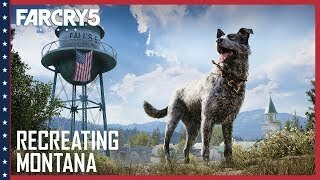 11/14/2017: The game's devs discuss how they turned photographs of Montana into a complete game world. 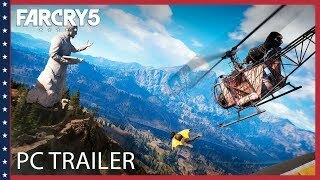 10/30/2017: Restore freedom to Hope County with a friend. 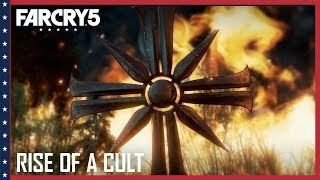 10/27/2017: Far Cry 5 developers consult cult experts to find out how a group could rise to power and take over a whole town. 6/14/2017: Souls do not harvest themselves. 6/14/2017: Save the land of the free. 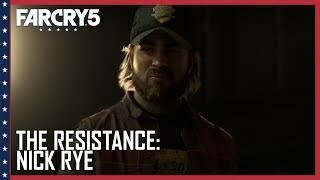 5/27/2017: Throughout the hills, valleys, and townships of Hope County, civilians of all walks have joined forces to resist against the cult, and rid their land of its chaos once and for all. 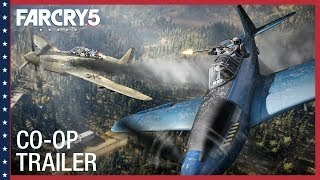 Meet Nick Rye: the Pilot. 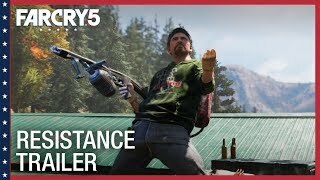 5/27/2017: Throughout the hills, valleys, and townships of Hope County, civilians of all walks have joined forces to resist against the cult, and rid their land of its chaos once and for all. 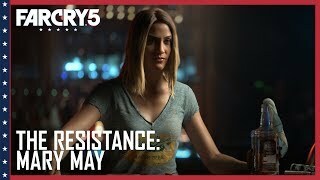 Say hello to Mary May: the Barkeep. 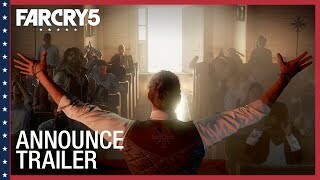 5/26/2017: Throughout the hills, valleys, and townships of Hope County, civilians of all walks have joined forces to resist against the cult, and rid their land of its chaos once and for all. 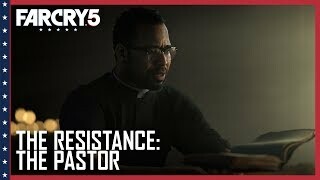 Meet Jerome Jeffries: the Pastor. 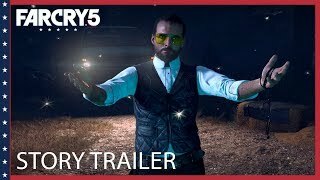 5/26/2017: As the new junior deputy of fictional Hope County, Montana you'll face off against a fanatical doomsday cult, the Project at Eden's Gate.